On Saturday I did my 3rd 5k in 3 weeks. Whoo! I can officially say I’m hooked and I’m looking for a new goal. 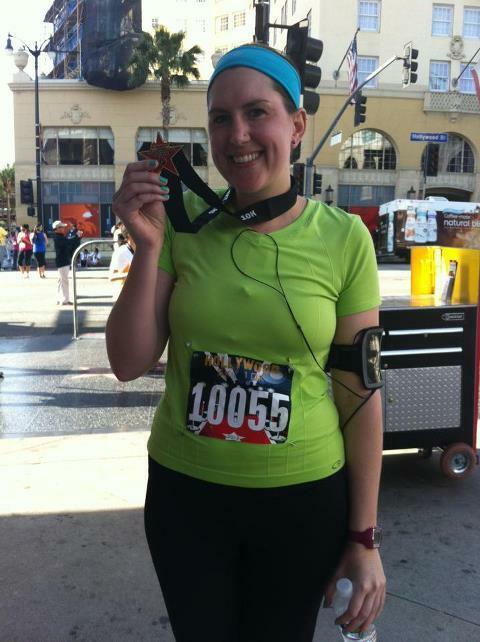 I ran the Hollywood Half 5k on Saturday with friends. It was a really disorganized race, but it was their first, so I’m sure they’ll get lots of feed back and improve the race for next year. I ran without shades, and for the out and back course the first 1.5 miles were directly into the sun. After turning around I enjoyed the flat road back to the finish line. I improved my time from the Hot Chocolate 5k and ran a 31:57! I’ve been dreaming about signing up for more races, and some triathlons. I’m really proud of the running endurance I’ve built up so far, and I don’t want to lose it. I want to starting working on adding more miles to my runs. I’ve looked at a few training plans and I’ve decided I want to run a half marathon in the Fall. 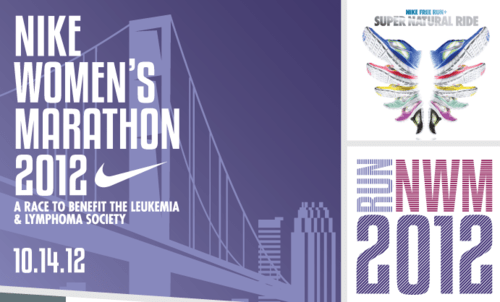 I’m planning to register for the lottery for the Women’s Nike Marathon (Half) on October, 14. It’s a pretty amazing race. And you get a TIFFANY necklace at the finish line. The trick is…it’s a lottery, so there’s no guarantee. Finger’s crossed and running shoes laced up, it’ll come together. Here’s to long runs in the summer. In the Valley. Yep, I’ve lost my mind.